Happy Holidays my friends! 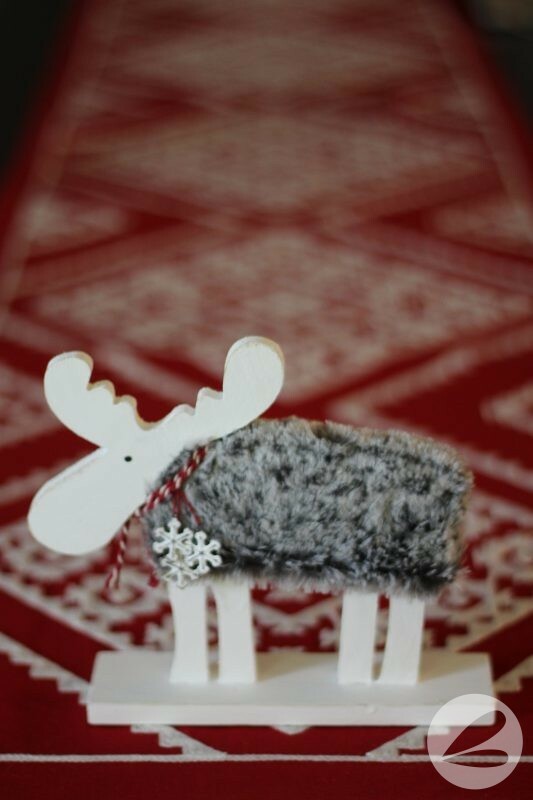 This DIY Nordic Moose could not be easier to create. Seriously! 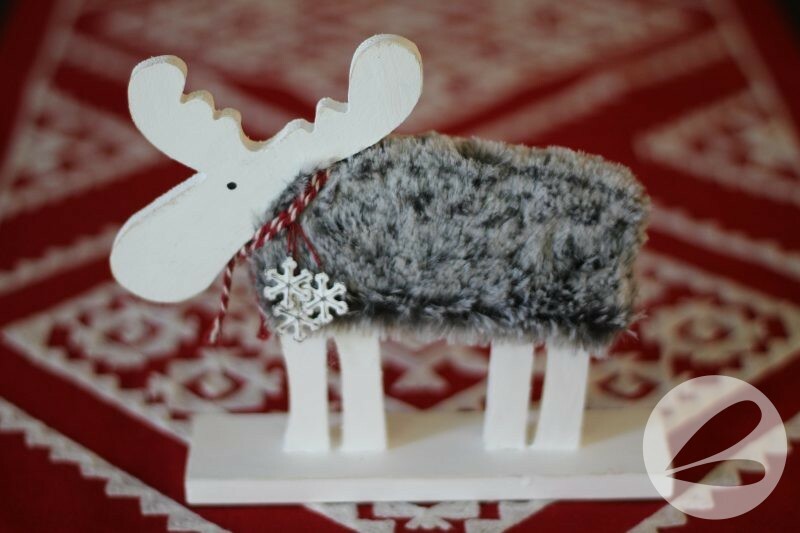 You can totally do this and add a bit of whimsy to your holiday decor. 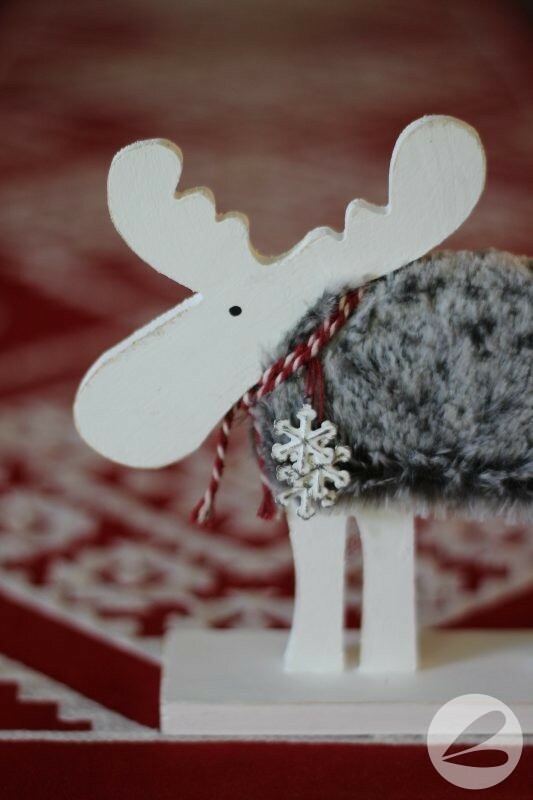 I have a bit of an obsession with moose this year and had purchased a few too many wooden moose… especially considering that I didn’t know what to do with them. But after becoming inspired to add a bit of faux fur the creativity took over! Step 1. 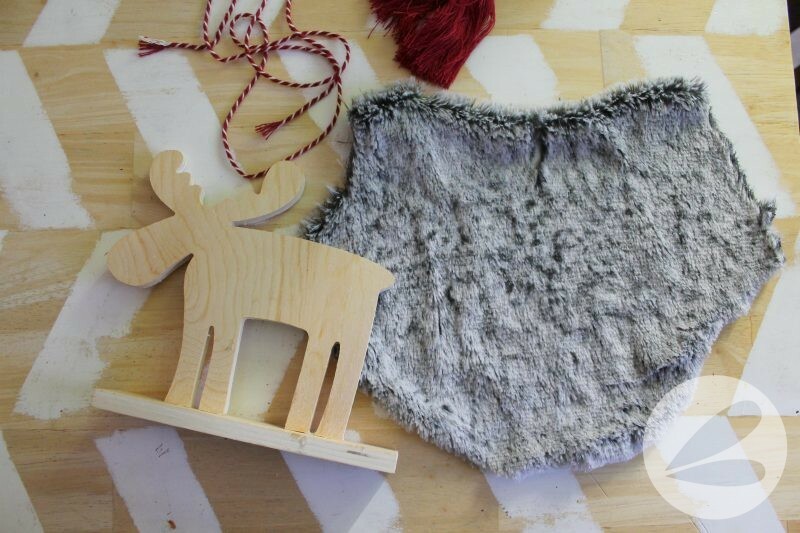 Gather supplies and cut the fur to fit over the body of your moose. Step 2. 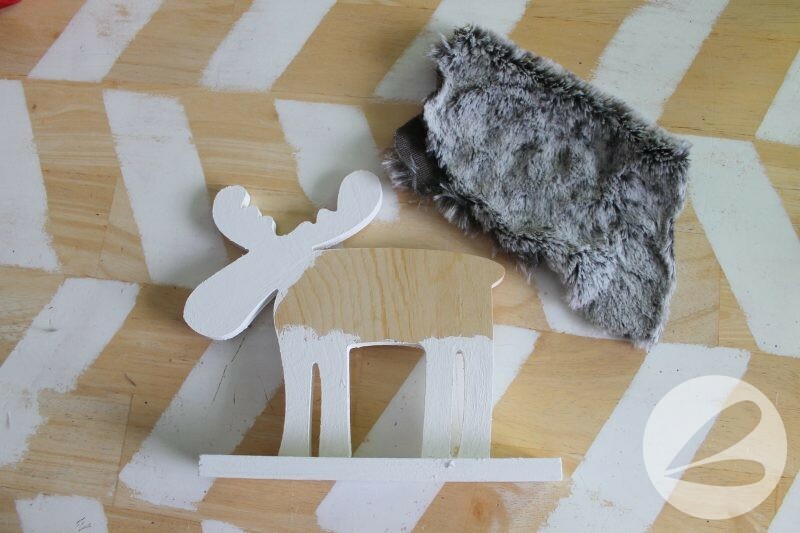 Paint the head and legs of the moose white. Glue the fur onto the body. Embellish with twine and snowflakes. I added a dot of black paint to create an eye and I sanded the wood for a more rustic feel. The snowflakes I found in the scrapbooking section of Michaels were rust color so I painted them white then sanded them for a more distressed look. I love the fur!!! 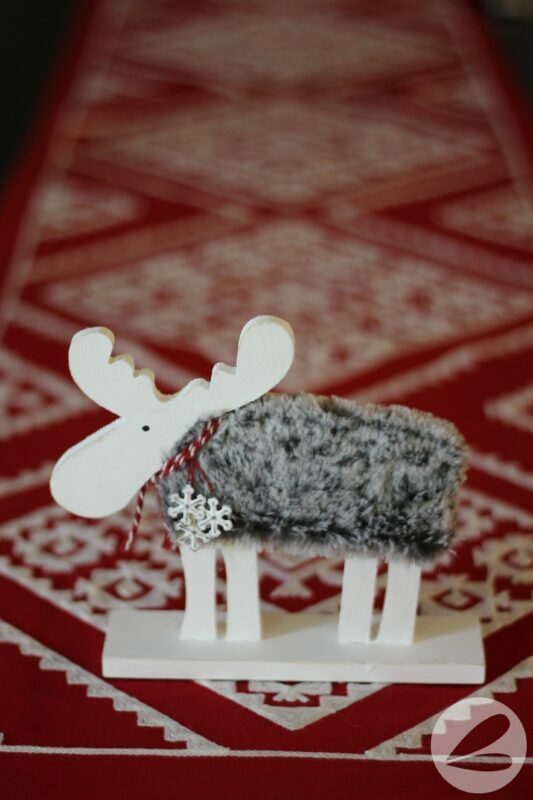 This little Nordic Moose is so soft and fun to pet. You could totally choose to leave the wood unpainted or stain it! I think stained would be beautiful too… maybe with white fur?! 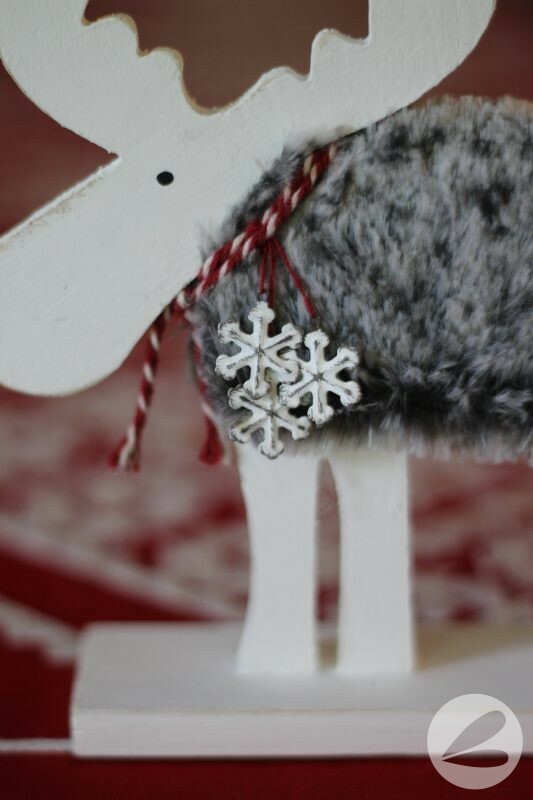 And bells hanging around the neck… so cute! I may need to create another one with just that look.